Web accessibility is quite a large topic—far too large to fit into a small book. So what will this book cover? We shall encounter visual design challenges, deal with performance issues, and adopt progressive enhancement, all of which are accessibility concerns. But the underlying theme of this book is about making the interactivity of web applications include keyboard and screen reader users. Starting with defining simple button controls and moving on to create reusable, accessible widgets, this book is about making interactions possible and meaningful for those who suffer from cognitive and motor impairments, as well as users who experience a range of vision impairments. However, the lessons learned from addressing the specific requirements of those using assistive technologies or consuming information in unusual ways can be applied to enrich the web for everyone. We all win. 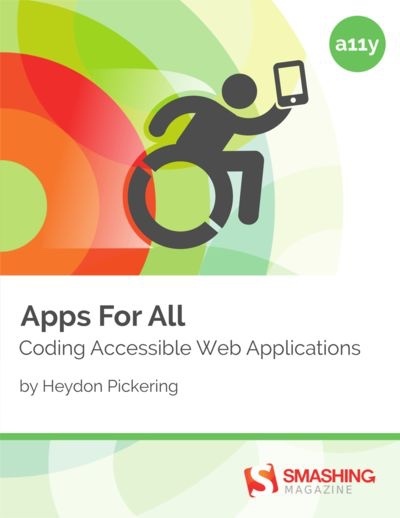 Heydon Pickering is a writer, designer and public speaker, the accessibility editor for Smashing Magazine, and an accessibility consultant working with The Paciello Group. He's interested in new and innovative ways to make the web an inclusive place. User research, systems thinking and plain old semantic HTML all play their part. When Heydon isn't writing, coding or illustrating, he experiments with sound design and thrashes out Doom Metal riffs of his detuned SG copy.